Today, we celebrate our beloved country's birthday. And Richard Stephenson has written one heck of a doozie, a novel called Collapse. Q: Richard, Tell us about your book. The title is enough to give me chills. A: Collapse is set fifteen years in the future and tells the story of the downfall of America. Q: Sounds bleak! How does it happen? A: It doesn't happen all at once by any single event. No killer virus, no alien invasion, no giant asteroid. 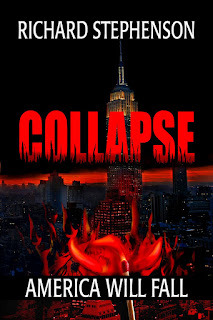 I wanted Collapse to be as realistic as possible and based on current events. A cautionary tale or a "what if?" type of scenario. Q: Yikes, those are freakiest, when things seem so real. What inspired you to write it? A: My job requires me to stay behind during a hurricane evacuation. I've been through many storms, however, two of them were very destructive and turned my neck of the woods into a wasteland. During the most recent one, we spent about twelve hours in a total communications blackout. No cell phones, landlines, internet, broadcast tv, cable tv, or even radio stations on the dial. I remember thinking that aliens could have landed on the White House lawn and we'd have been none the wiser. It was very surreal. I imagined what the entire country would be like plunged into that level of chaos and it terrified me. It still does to this day. Anyone that has been through that can tell you that civilization is very fragile. Q: You really think the events of your book could actually happen? A: Absolutely. Our society has grown very dependent on commerce and the basic infrastructure that supports us. My grandparents raised seven children during the 1940s and 1950s. How did they afford it? They had a self-sustaining household. They had a garden about the size of a football field. They had a chicken coop, a few cows, and some pigs. They rarely (if ever) had the need to shop at a grocery store. When my grandfather built the house, he even planted pecan trees on the property. How many people today can say they know how to do any of that? That type of skill set is slowing dying. The average American doesn't have enough food and water in their homes to last two weeks. I'm betting a week is fairly common. What would happen if the shelves were bare when we went grocery shopping? Q: Very true, and before that, people knew how to live off the land. Kind of sounds like you're a Prepper. A: I think that anyone who lives in a hurricane region can say they are a prepper on some level. I think it's a shame that preppers are sometimes cast in a negative light as being paranoid wackos. To me it's just good common sense to be prepared. I challenge anyone to ask themselves how long they would survive without any utilities in their home. No electricity, water, gas, or even trash pickup. I think most people would lose their minds at the twenty four hour mark. Imagine living without utilities for a week, a month, or even a year. What would happen? How long would it take for polite, civilized people to turn into savages? Q: I'm guessing your book gives us the answer? A: A glimpse, at least. The downfall of America won't happen overnight. It would take years of decline and a lot of horrible things happening at once before the tipping point plunges us over the edge. Collapse deals with the tipping point. Q: You've woven a very plausible and frightening scenario. But honestly, even if one family is prepared, they'd be overwhelmed by the many who aren't. I've heard it said, "All the preparation I need is a .45 Magnum." I see that one of the main characters has Asperger's Syndrome. Can you give us some insight into what made you write the character that way. A: My fourteen year old son has Asperger's Syndrome. Asperger's is a form of high functioning autism. My son was diagnosed at the age of five and his journey has been a long one for our family. Howard Beck is what I envision my son will be like when he is an adult. I felt that I needed to do my part to help raise awareness. The public needs to be educated on Asperger's and I hope that Howard can help do that. Q: I agree. A friend of mine also has a very bright son with Asperger's and is doing quite well. Are any of the characters based on yourself? A: All three of the main characters are versions of me. I was told at the age of thirteen that I have a genius IQ. I graduated high school in three years and did the same in college. My mind has always raced in multiple directions at once, plaguing me with insomnia and even leading me to question my sanity. I've been able to pump the brakes on the race car in my mind. Poor Howard never learned how to do that. Max is probably the closest to my personality and was the hardest to write. Writing Max was a hard mirror to hold up. In early 2011, I awoke to the most horrific pain I had ever felt in my life. I was later told I had two bulging discs in my lower back. While I visited a chiropractor and attended physical therapy, I was on Vicodin and Soma. 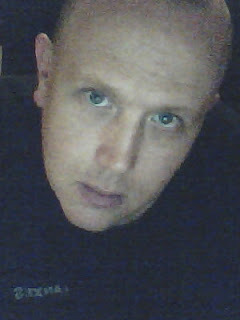 Anyone familiar with those drugs can tell you I was high as a kite on some very addictive drugs. Once my back recovered, I never took the pills again. I did, however, understand why so many people battle addiction. The euphoria was amazing and I loved being high. I'm lucky that I wasn't foolish enough to let that euphoria take control of my life. Max wasn't so lucky. Richard embodies the survivor I hope that I can be when disaster strikes. He is also the type of father I would be if the same horrible things that happened to him happened to me. Q: Gulp! You have certainly put a lot of yourself into this story. I know how hard it is for an author to disassociate from his or her characters. How hard is self-publishing? A: Much harder than I anticipated. It is much, much more than just writing. Getting the word out to readers involves a great deal of time and effort. I had such naive expectations of planting a few seeds here and there and thought those seeds would sprout on their own, bringing readers to me in droves. That is simply not the case. Advertising is a fine tuned machine that requires constant maintenance. Q: Are you writing anything else that the readers need to know about? 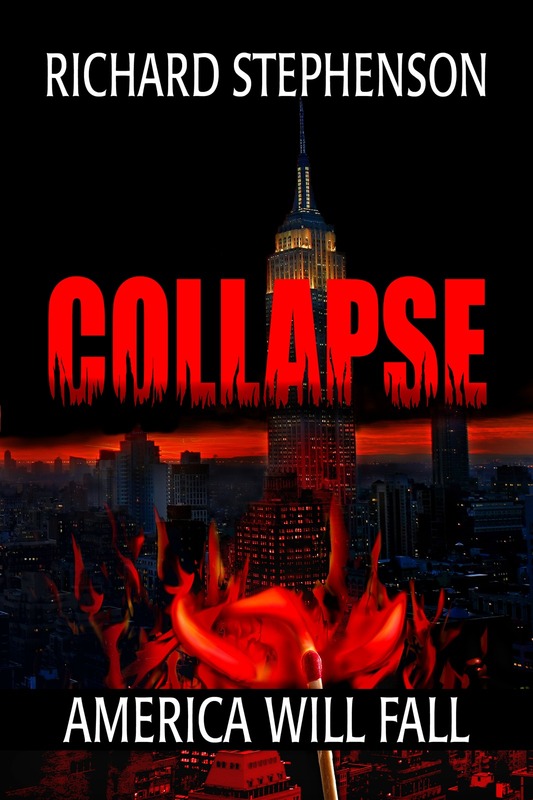 A: Collapse is the first book in a four-part series entitled "New America." Q: When will the next book be released? Great! It's been wonderful meeting with you. Your book will be out this FRIDAY! July 6th for Kindle, Nook, Paperback. I've had the honor of reading the entire book, and you definitely won't be disappointed! Richard did a great job of weaving all the frightening threads of this tale together. Readers will be anxious for the sequel! glad I read the interview. will be checking into this book more. an passing it on. I think that we all need to be thinking about where we are going and how how choices will be affecting the future. Susan and Malika, thanks for stopping by. This book will surely shock some into action and others into hiding.